A tremendous way to save money when shopping online is through the use of promotional coupon codes (also known as discount codes). There are a number of website resources out there that list US promo codes from major retailers. We’ve collected many of the top sites that feature promo codes below along with a brief description of each. Many of these sites showcase deals from major retailers and will let users know if the coupons have been verified and how many times the promo code was used. This added value alleviates the time it takes for users to test the codes individually. One of the most well-known coupon sites is RetailMeNot. Their website is extremely simple to navigate, and they organize their deals and categories in a way that makes it clear to find what you need while also being able to explore new stores and offers. A few other perks of the service is a chrome extension and mobile app, making it easy to save on the go. 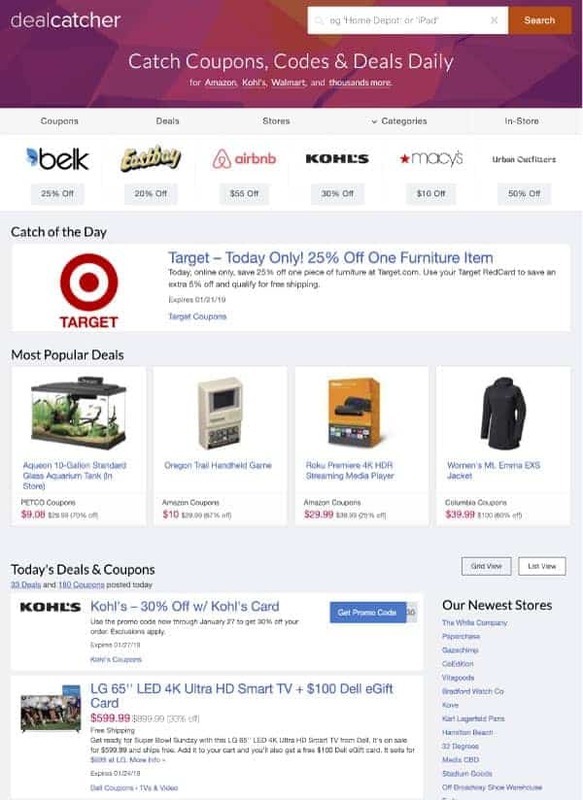 Similar to RetailMeNot, Coupon Cabin also offers an app and Chrome extension to alert users of deals. If you enjoy reading through blogs, you’ll find that they have a useful blog section of their site where they discuss current sales and shopping hacks. What makes Coupons.com stand out is their ability to resemble traditional coupon clippings. Rather than clipping each coupon from your local newspaper by hand Coupons.com has made it easy to digital browse your favorites and print them all at once. They also have a separate section listing coupon codes for online shoppers. 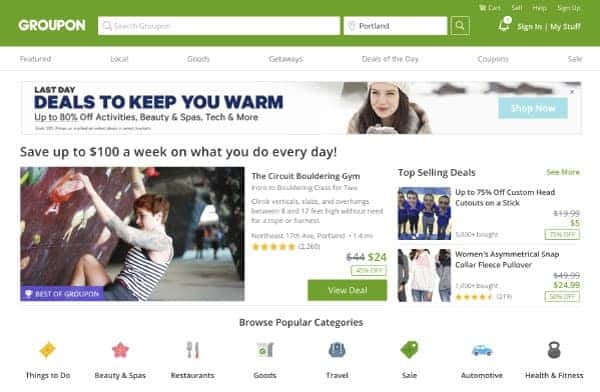 Groupon, another well-known site for those looking to find some fantastic offers, originally started as a platform that focused on group buying. Now, with a worldwide presence, the digital deal pioneer has branched out to include local deals, online goods, getaways, daily deals, and online coupon codes. 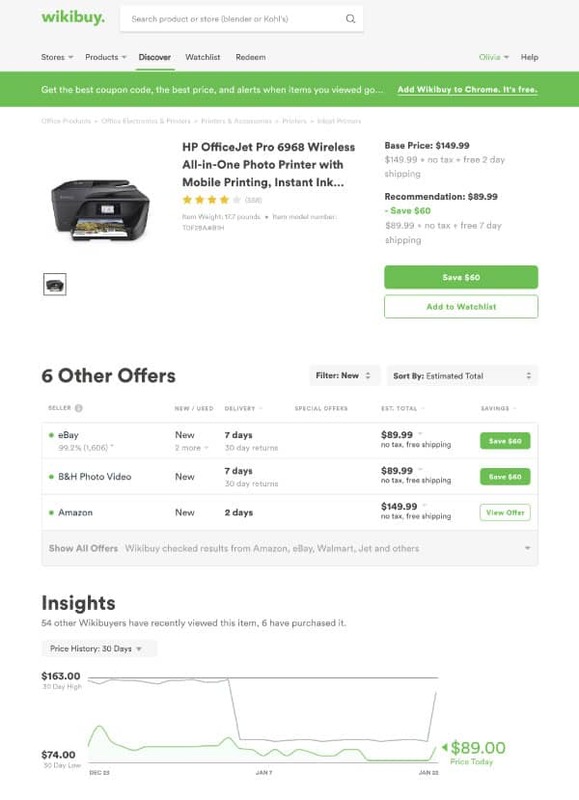 A useful feature of Slickdeals is the instant alerts that will notify you when deals and coupons become available from your favorite stores, categories, or even by product. You can also go to specific store profiles to see current coupons, store ratings, recent blog posts from that retailer, and super detailed discount tips. Like many of the others that we’ve discussed, Offers.com publishes coupons and deals by category and store. You’ll also find a tab for savings tips where they add new blog posts pretty often covering sale roundups. If you already enjoy hunting for bargains on your own Coupon Chief offers a referral program called Pays-2-Share which allows you to upload coupons to share with other users in order to get credits added to your account. 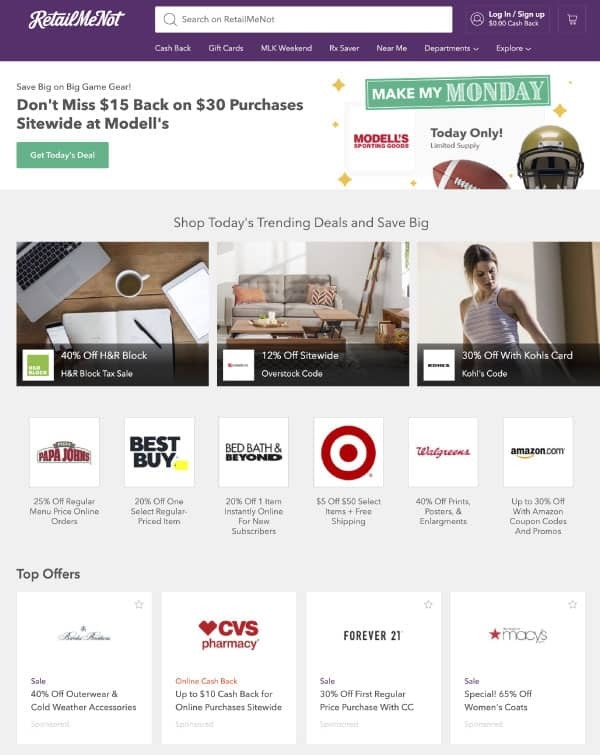 You’ll find that this US promo codes site also organizes their layout by trending deals, popular categories, and top US stores. They even have a forum where users can join discussions about online shopping, hot deals, freebies/giveaways, and more. What’s unique about Goodsearch is that they focus their company mission on giving back. They provide their users with awesome coupons but also donate to a nonprofit of the users choice when they make a purchase through their site. Honey is a very powerful tool to add to your web browser. It’s an extension that you can add to enhance your experience when shopping online. When you are browsing products honey will notify you of recent price changes and can automatically search and apply promo codes for you. A major perk of using Honey is the ability to add items to your “Droplist.” This feature pretty much allows you to keep an eye on products from major retailers and lets you know when it drops in price. Similar to Honey, Wikibuy provides a Chrome extension and watchlist option. You can compare estimate totals and delivery times from various online sellers so that you can determine the best opportunity to both save and receive packages. 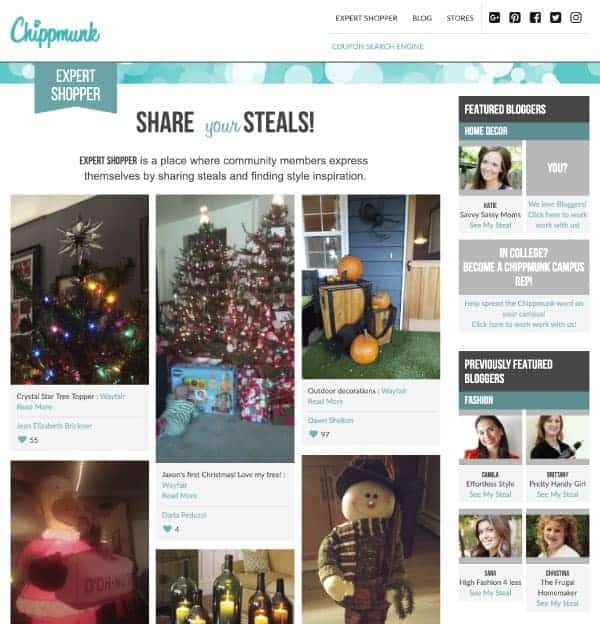 Chippmunk encourages bloggers and members to share their purchases (aka steals) with the community as an Expert Shopper. It gives people a chance to see products in action and offers members an opportunity to express their shopping thoughts. A feature that makes Couponbox different from other sites that list US promo codes is their “CouponGenie,” which curates coupons based on your demographic. You simply add your gender and age, and it will provide coupon recommendations in various categories. 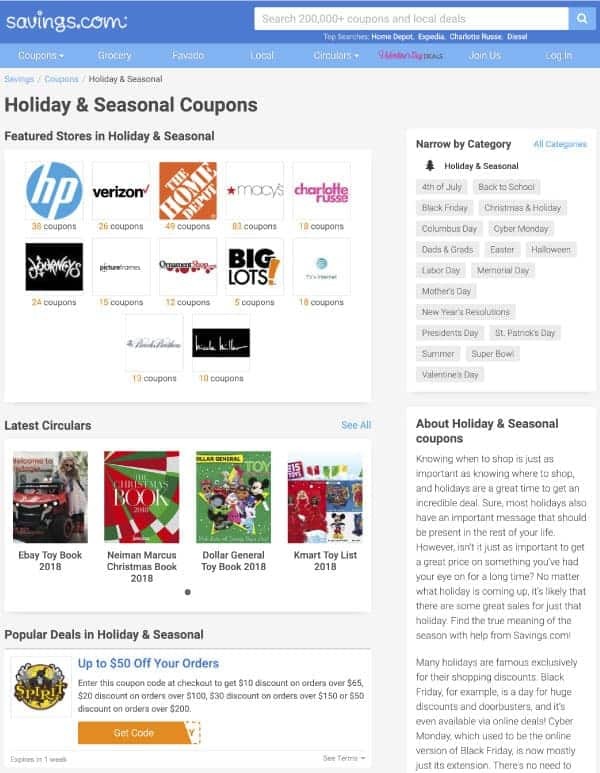 Savings.com does a wonderful job of organizing coupons based on holidays and seasonal categories. This is a useful method from a shopper’s perspective since many US stores will run holiday promotions. On Dealigg you can browse top deals, but they also have a freebie section where they list free promotions and samples for shoppers to try. Ebates works very much like many of the websites on the list and brings many of the features together. They have a mobile app, chrome extension, rewards and referral programs, seasonal pages, and daily deals. This site is unique for their “Free Shipping” tab where they list different stores that you can take advantage of free shipping promos. They also provide traditional promo codes and freebies. 360 Coupon Codes keeps their website pretty straight forward and simple to navigate with their coupons organized by store, latest codes, and most used codes. They also have a tab for free shipping promo codes. MyPoints lists out their deals with the promo codes right away on their site, so it’s easy to find. They also provide the opportunity to earn rewards by completing surveys through their membership area. 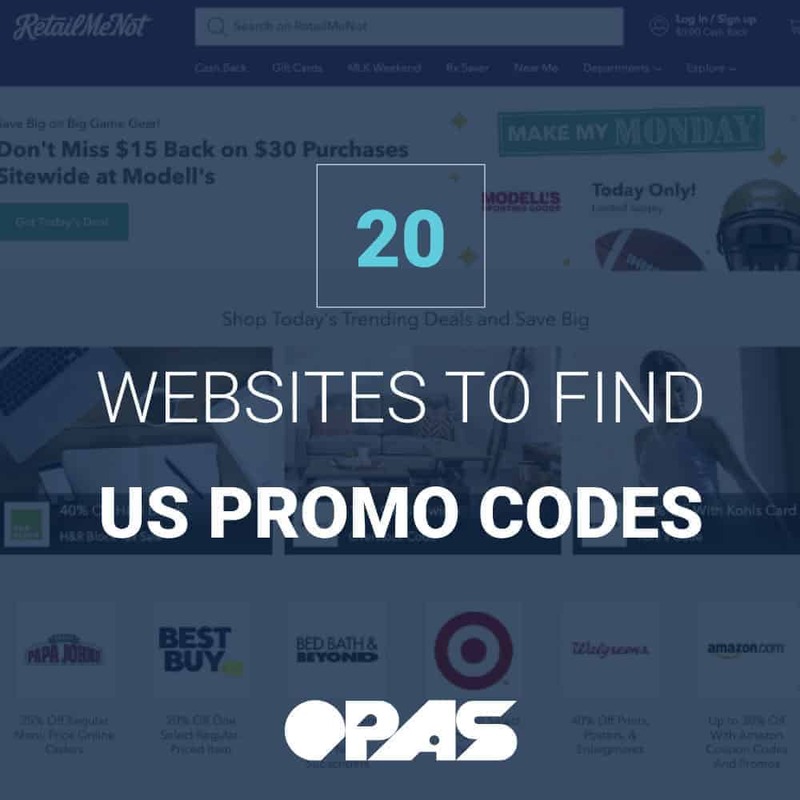 These sites are not only an excellent way to find US promo codes, but they are also ideal for browsing new products and brands. You can utilize these resources after you’ve found what you’re looking for discounts or when you’re shopping around. There are definitely many options when it comes to finding a website that lists US promo codes. Our suggestion would be to try a few out and see what works best for your shopping style. Just like shopping for products you’ll find to a coupon code site that fits your individual needs. Do you have any favorites that you find your US promo codes from? Let us know below!